The US government has awarded Lockheed Martin a USD63 million firm, fixed-price contract in support of a Foreign Military Sales (FMS) procurement effort of six AN/TPQ-53 counter-fire target acquisition radars destined for Singapore, according to federal contracting documents reviewed by Jane's on 21 August. The contract – which was signed on 13 April 2017 – includes options that would bring the cumulative value of the order to USD81 million if exercised by the Singapore government. Work on the radar systems is expected to be completed by 13 March 2019, with the US Army Contracting Command-Aberdeen Proving Ground (ACC-APG) in Maryland functioning as the contracting activity. “The acquisition of the AN/TPQ-53 weapon locating radars is part of the Singapore Army's on-going modernisation efforts,” said Colonel Lim Wei Lian, Chief Systems Integration Officer, in a 25 August statement in response to a query from Jane's . He also revealed that the new radars will replace the current TPQ-36 and TPQ-37 radar systems. 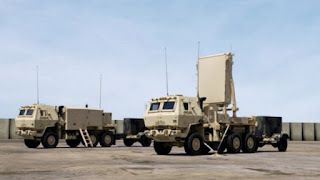 The AN/TPQ-53 is a solid-state, active electronically scanned array (AESA) radar system that operates in the S-band (2 GHz to 4 GHz) frequency range. The radar is designed to detect, classify, track, and determine the launch points of incoming artillery shells, mortar bombs, and rockets over a 90° sector or the full 360° azimuthal arc.